Bluboo Mobile is a brand that has long been guests on the smartphone market and enjoys a great users reputation. 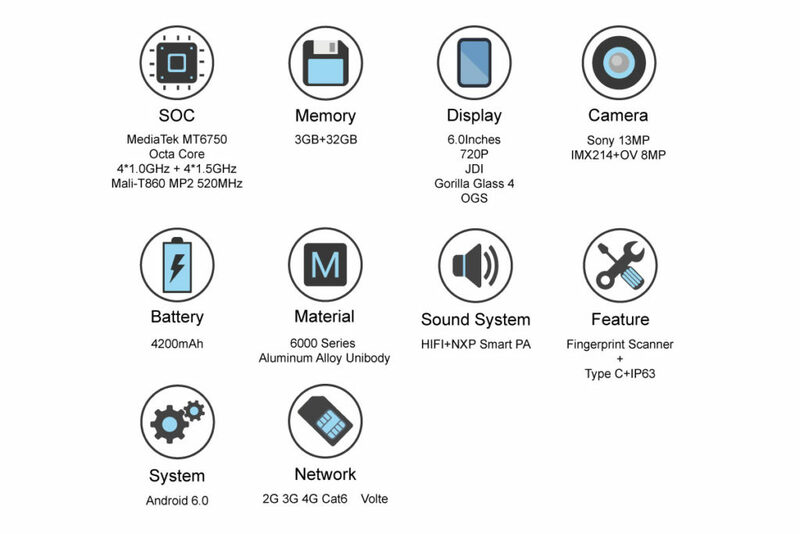 Smartphones from Bluboo have a good specification, quality, and most are reasonably priced. For all Bluboo fans, and not only do we have new information about the new smartphone / phablet called Bluboo Maya Max which will soon be available. Maya Max is the next and greatest the smartphone Maya series. For those who do not have the opportunity to see more of this model remind its specification. The Bluboo Maya Max comes with HD display, with IPS HD JDI OGS screen multi-touch capacitive touchscreen including 16 million colors with physical 6.0-inch display size, as far as the display resolution is 1280 x 720 pixel,with 24-bit color depth, the handset comes with multi-touch with Protection of external screen guard. The network technology of phone is GSM / HSPA / FDD-LTE (2G, 3G, 4G)), included downloading and uploading up to 300 and 50 Mbps in LTE cat6 4G network, and 21.2/5.76 Mbps in 3G Network. 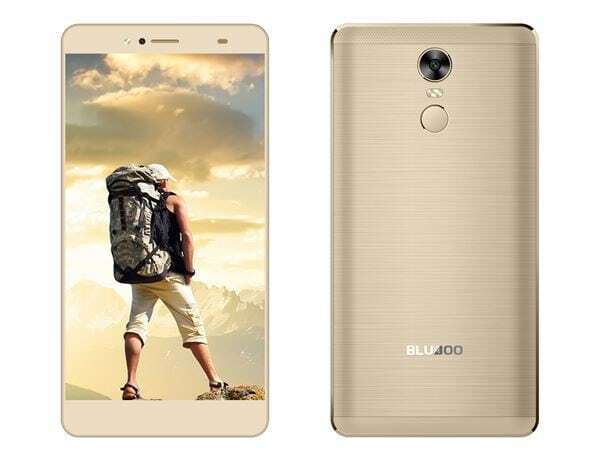 Bluboo Maya Max runs with Android 6.0 Marshmallow operating system including high-performance CPU and ARM Mali-T860 MP2 350MHz GPU, just go into the deep, smartphone comes with 13 Megapixel Sony IMX214 Sensor back with CMOS image sensor, AF and LED flash and 8 Megapixel front HD selfie camera, comes with Geo-tagging, touch focus, autofocus, smile shot, face beauty, ISO, smile detection, face detection, HDR, burst shot, ISO, panorama, also smartphone comes with a customized beauty camera app which Bluboo has dubbed BeautySnap and more functionality, however you can capture [email protected], [email protected] HD 4K video recording. The Maya MAx also comes with USB Type-C. Display – Screen size 6.0 inches HD IPS touch. Dual SIM – with (1 x Micro SIM + 1 x Micro SIM) Compatibility, Dual Standby. Chinese manufacture Bluboo Mobile is no exception. We’ve known that Bluboo will launch another camera smartphone Maya Max in August soon. It’s said that Maya Max is with extraordinary camera performance. Let’s uncover the secrets why Maya Max would stand out from the other camera phones. 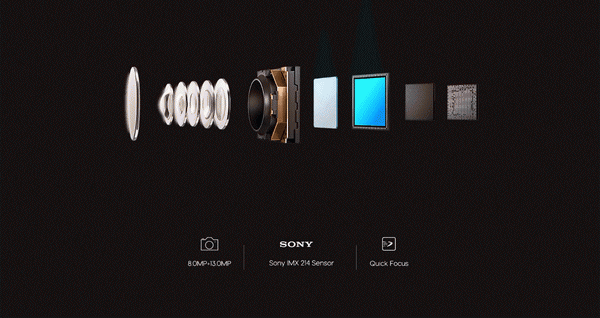 Maya Max features 8.0 front camera and 13.0 rear camera with custom-made Sony IMX 214 sensor. With rather high pixel and Sony sensor, Maya Max could produce quite good color and pictures, satisfying one’s needs for clear and vivid selfies. As the second smartphone of the Maya lineup, Max also comes with the custom-made beauty camera app, Bluboo Beautysnap, which offers plenty of functions. For instance, smart beauty, it could identify one’s face and age, then accordingly chooses the level of beauty,beautifying one’s skin more naturally. Besides, with “V “gesture function, smile function and smart voice guidance function, one doesn’t need press the screen to finish the shoots. Free one’s hand and make taking photos easier and more funny. You could edit and beautify your photo again by choosing different facial makeup and editing effect. 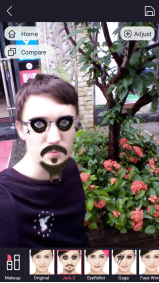 In celebrity mode, you even don’t need to choose several effect just for one image, a single touch on the style you prefer, you can transform into whatever celebrity you like. There are many funny and fashionable accessories including hairstyles,earrings, hairpins, etc , enabling you to change your look creatively in a fun way. Aside from the decent camera and multi-functional Beautysnap, the design of dual rear flash will help illumine your beauty even in low-light condition. Do not need to worry about unclear images again. Anywhere and anytime, with Maya Max, you will have clear and amazing pictures to share with your family and friends. Maya Max will be released in August and at the moment the lack of price information.